Bankhead Industrial Estate is located on the west side of Edinburgh city centre within one of Edinburgh's most established industrial locations. The estate itself comprises 16 modern industrial units spread over four terraces with unit sizes ranging between 5,300 sq ft to 22,250 sq ft providing a total occupancy space of circa 135,200 sq ft. 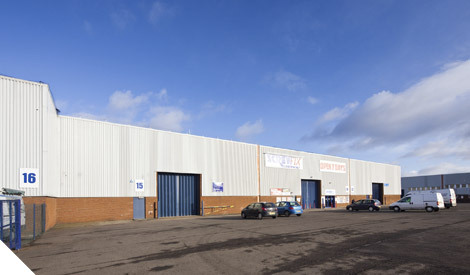 The properties are situated within Bankhead Industrial Estate, Sighthill and is one of Edinburgh's principal industrial locations offering excellent transportation links to and from the city. The estate benefits from a variety of different occupiers to include motor trade, retail, financial sector and general industry. The buildings comprise predominantly of recently refurbished mid to end terraced industrial accommodation with circa 5% to 10% with office facilities. 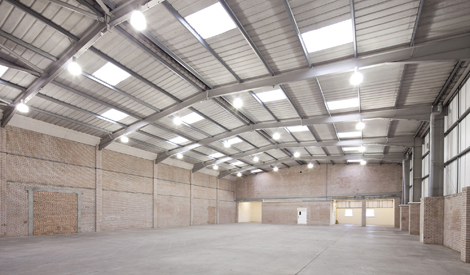 Each property benefits from ample car parking and use of the service yardage benefiting from minimum eaves height of circa 8 metres which allows flexibility for a variety of different users to include industrial warehousing and allows for installation of mezzanine level or high level racking. The estate offers a variety of end users to include motor trade, trade counter such as Screwfix, Howden Joinery, Plumbstore and Safestore etc together with neighbouring retail parks of Hermiston Gate and South Gyle.